Children's Activities has an exciting new look for 2018 and features more than 20 arts and crafts, music and sporting activities for six to nine year olds. The fun-packed programme of daily activities ensures variety and enjoyment with a great mix of outdoor sports to get pulses racing. There are also plenty of indoor activities to concentrate minds and encourage dexterity and coordination. We guarantee there will never be a dull moment and your child will participate in several hours of exercise per day. Morning activities can include singing, dancing, arts and crafts, games, music, cooking and a variety of different sports such as football, swimming, tennis and hockey. In the afternoons, the variety is immense; there are more arts and crafts, music and sport as well as the legendary foam slide, inflatables and fun Sports Day activities. The week ends with a dance routine performed for parents and grandparents in Court followed by a disco. The emphasis is on participation, learning different skills, experiencing new activities and - above all - fun, fun, fun! At Summer School, your child will be looked after by experienced staff, all of whom have been carefully selected based on their experience, qualifications, character and attitude. Many of our staff are fully or nearly qualified teachers and everyone employed receives an enhanced DBS clearance and is reference checked. All children are put into groups of 12, which are each allocated two members of pastoral staff; that's a ratio of six children to every one member of staff. The care we provide is second to none and is the result of decades of experience in this field. The day runs from 8.30am to 4.30pm, including supervised lunch and snacks, with optional extended care between 4.30pm and 7pm. Each child will be given a free Marlborough College Summer School water bottle to ensure they keep their fluids topped up and are never thirsty. After an action packed day, the extended care programme involves games, shows and a disco. Non-residents will be charged £5 per evening, including dinner. You can be sure that at the end of the week, your little ones will be happy, fulfilled and will take away memories that will last a lifetime. Children's Activities is a multi-activity programme designed to provide children with a fun, exciting, educational and adventurous week. The extensive grounds of Marlborough College and the excellent indoor and outdoor facilities provide a perfect setting to allow the children to enjoy unforgettable experiences. Our carefully constructed day programme (8.30am to 4.30pm) has been designed with all children in mind. It has a balanced combination of outdoor pursuits and challenges, sports and arts and crafts projects. Lunch is included. The optional evening programme runs from 4.30pm-7.00pm. This is available for both residents and non-residents. After an action-packed day, the extended care programme involves workshops, demonstrations and shows. Non-residents will be charged £5 per evening, including dinner. Children's Activities aims to provide a memorable and enjoyable experience with first class supervision. The Children's Activities course has been designed to suit children between the ages of 6 to 9 years old. It has been tailored to meet the needs, interests and abilities of all children. We take careful consideration when putting children into their groups to ensure that they enjoy and can cope with the action-packed week. Parents can choose to collect their children at either of the check out times. Parents must let tutors know at morning registration when they intend to collect their children. If a parent wishes to pick up their children at any other point during the day this must be discussed and arranged with the Course Team Leader, Becky Conlen. Please be aware that children must be checked out by a parent or guardian with their tutor each day. This applies to both residential and day children. *Multi-Sports include: quick cricket, football, hockey, swimming/water polo, modified games (touch rugby and netball), dodge ball, rounders, ultimate frisbee and bench ball. After lunch and 'quiet time' children will embark on their outdoor adventure activities. This may run in two sessions, or may consist of a whole course activity rotation. We offer a range of outdoor and adventurous activities where children can challenge themselves in a safe, instructed environment. Activities include: canoeing, assault courses, orienteering and arts and crafts. These will allow pupils to work effectively as a team as well as providing an opportunity to develop many skills including communication and leadership. Children will be placed in activity groups depending on confidence and abilities in an outdoor educational environment. The afternoon session will also include some time set aside for practising the performance for the Friday Exhibition. Evening activities followed by dinner and quiet time. This will include entertainment, displays, workshops and demonstrations. Non-residents will be charged £5 per day for the evening session. Orla Sheehan will be a new addition to Marlborough College Summer School this July, leading the Children's Activities Programme. 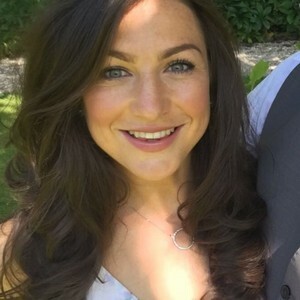 Orla qualified as a teacher in 2013 and has been teaching English for the last four years both in a grammar school and a prep boarding school. She currently teaches at Cheltenham College Preparatory School. Beyond the classroom, Orla is a keen sportswoman and will try any new sporting opportunities that come her way; most recently, cricket! She is particularly passionate about the GAA (Gaelic Athletics Association) and has played both Camogie and Gaelic Football from a young age. Orla is an energetic and caring person; she aims to use her experience, and love for adventure, to create a fun-filled, safe and creative environment for our children to thrive in.